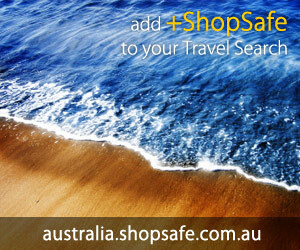 Home & Garden - Lighting - Table Lamps - ShopSafe. There are 3 products in the Ultimatebackstorecom > Home & Garden - Lighting - Table Lamps ShopSafe Category. Diffrient Task Light Description: The new Diffrient task lights are light as a feather, cool to the touch, and easy on the eyes - literally! A shining example of ergonomic design and superior engineering, with up to four times the bulb life and one-third the energy consumption of other lights. Available with a host of desk and wall mount options. etc. Buy this Diffrient Task Light today from USD$318.00 on the Ultimate Back Store website. Kast Light Description: The Kast Light by Details is an exceptional example of an office essential with the environment in mind. Designer Tom Newhouse created this task lamp with energy-efficient LED technology; it`s also 80 percent recyclable. etc. Buy this Kast Light today from USD$329.00 on the Ultimate Back Store website. Leaf Lamp Description: Sleek, energy-efficient, and very adjustable, Herman Millers Leaf Lamp is a new experience in lighting, designed for both office and living areas. This personal LED light is a cool and compelling way to illuminate work or set a mood. etc. Buy this Leaf Lamp today from USD$429.00 on the Ultimate Back Store website.